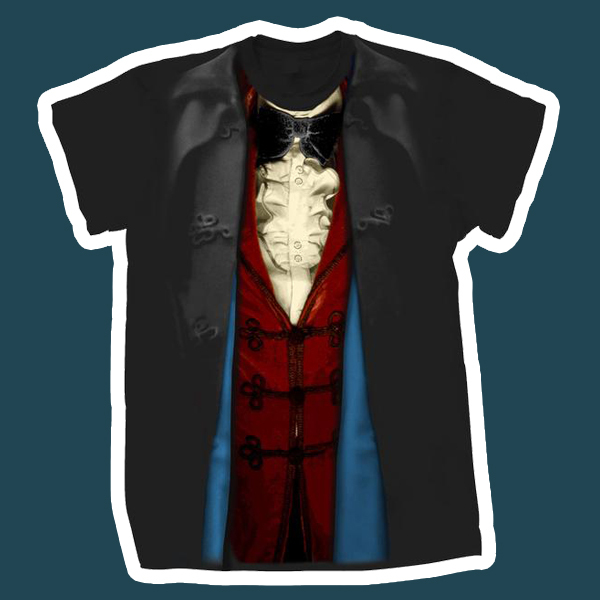 You can now get the Third Doctor - but as seen in the tenth anniversary special, The Three Doctors, with the blue lined Inverness cape. Despite featuring in the iconic group photocall, this variant of the cape was only used briefly in a couple of scenes in the story. 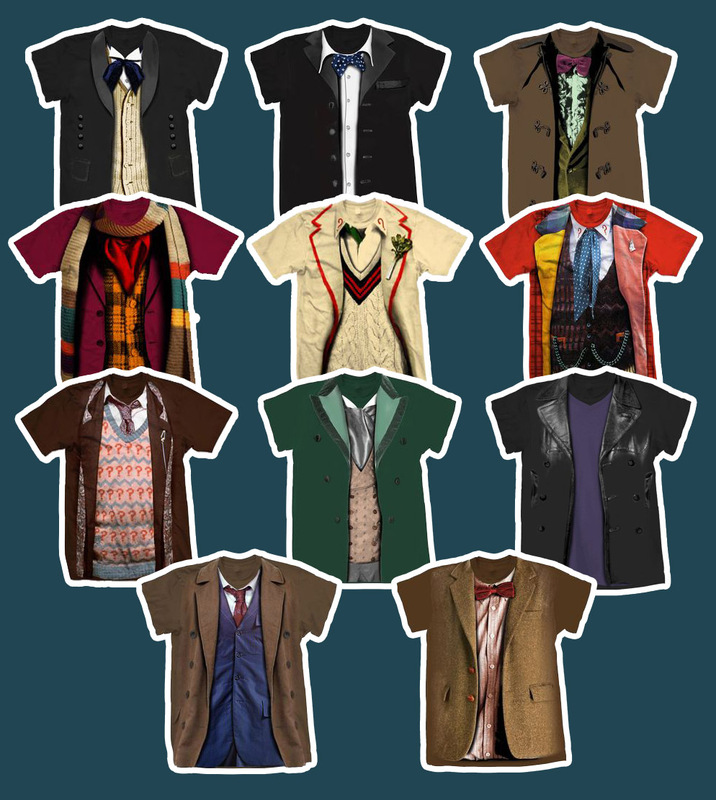 That said, I do think it is a better choice than the brown Inverness cape of the original t-shirt. 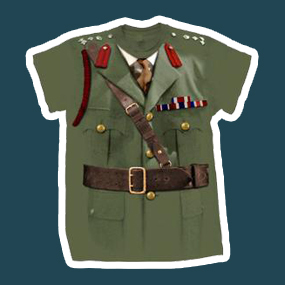 If you so desire you can dress as The Brigadier too!